Lou Gehrig came off his 1927 MVP season by improving his batting average to a lofty .374 and leading the league in RBI and doubles for the second straight season. It was this and the following three seasons that saw Lou Gehrig breaking away from Babe Ruth’s shadow and emerging as a superstar in his own right. His big bat helped the Yankees win a second consecutive World Championship that fall against the Cardinals, and beginning in 1930, Gehrig went on a 3-year offensive tear that saw him recording 509 RBI, slamming 121 home runs and hitting .356. These stats, plus his almost inhuman work ethic, made the Yankees first baseman one of the most respected men in the game, and this bat helped him forge that reputation. 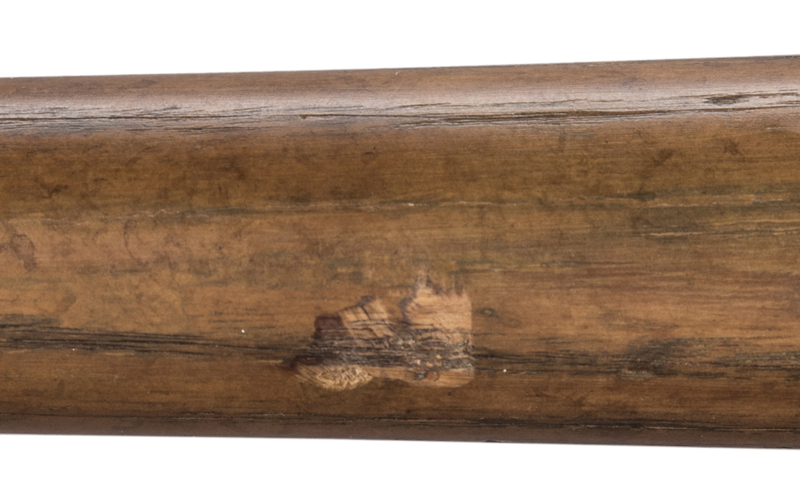 Gehrig’s pre-model Hillerich & Bradsby bat displays heavy use with a professionally repaired handle crack. 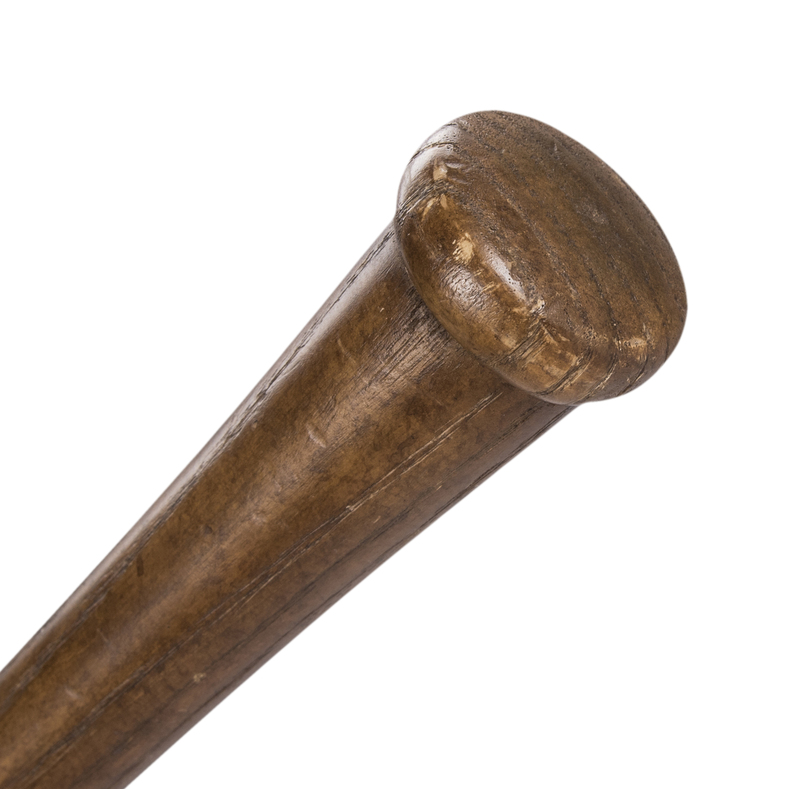 The bat can be dated to the 1928-1930 period by the presence of the C-5B style center brand which was used from 1928 to 1931 and narrowed down by the absence of a “Powerized” stamp which was added on bats starting in 1931. Using factory records, PSA/DNA has opined that this bat is Gehrig’s #2 model, first ordered by the Iron Horse on November 26, 1928. 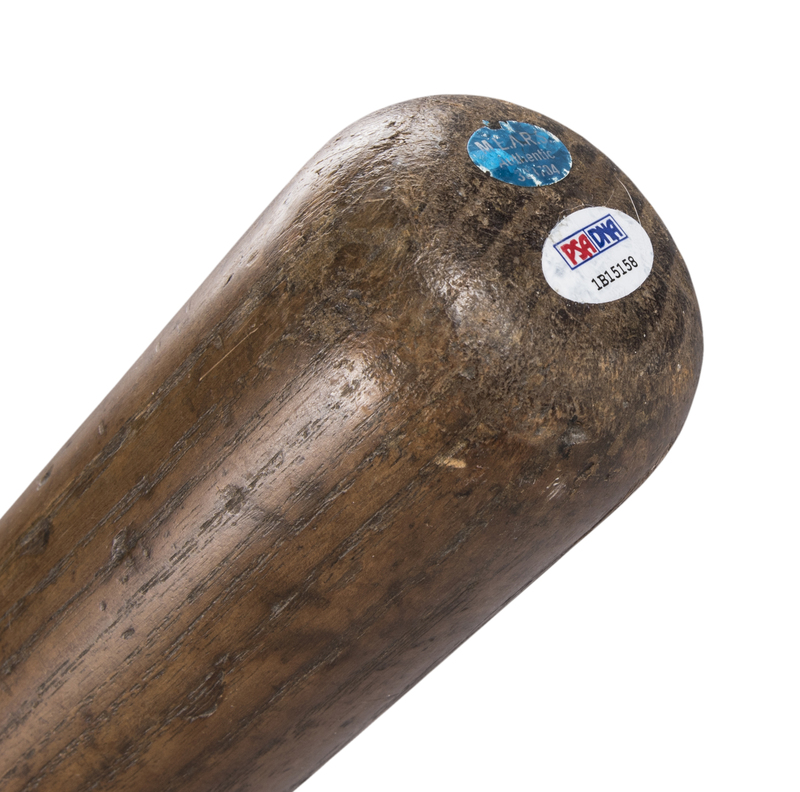 Gehrig –specific characteristics found on this bat include cleat imprints on the right and left barrel and ball contact marks grouped on the right and left barrel. The ash wood has taken on a deep brown patina with age and the barrel stamping is clean and even. A very stunning bat dating from Lou Gehrig’s breakout seasons. This bat comes with a LOA from PSA/DNA (1B15158) for the game use and has been graded a GU 7.5.